« Conoces la marca Akolatronic de Jowell & Randy? 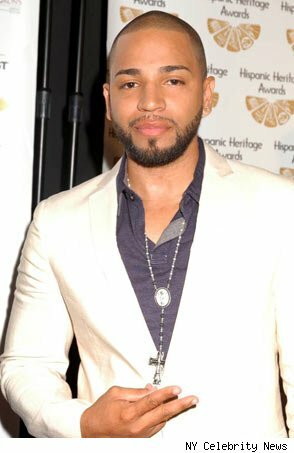 It wasn’t ‘Romeo,’ as everyone expected, but rather Henry who has been the first member from bachata supergroup Aventura to announce a solo album, which will come out as early as next March. Does that mean that the days of Aventura are numbered? Henry Santos Yeter, Aventura’s back-up vocalist, is Anthony ‘Romeo’ Santos’ cousin and composer of some of the group’s songs. He says that he is working on his solo album with the help of producers and fellow artists. “I’m really happy because right now I’m working with different artists and a lot of doors are opening, all very positive. So starting in March, that’s when my album is coming” he says in Spanish. It all points to the endless rumors regarding the imminent break-up of Aventura, the self-proclaimed kings of modern bachata and the highest-grossing Latin act today. This entry was posted on Tuesday, November 16th, 2010 at 11:05 pm	and is filed under Uncategorized. You can follow any responses to this entry through the RSS 2.0 feed. You can leave a response, or trackback from your own site.